IMPORTANT WORDS from a dear friend. There should be nothing surprising about what Donald Trump has done in his first week—but he has underestimated the resilience of Americans and their institutions. 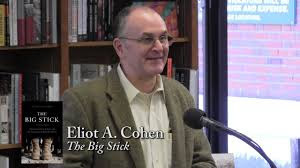 GUEST BLOG / By Eliot A. Cohen, Atlantic Magazine--I am not surprised by President Donald Trump’s antics this month. Not by the big splashy pronouncements such as announcing a wall that he would force Mexico to pay for, even as the Mexican foreign minister held talks with American officials in Washington. Not by the quiet, but no less dangerous bureaucratic orders, such as kicking the chairman of the Joint Chiefs of Staff out of meetings of the Principals’ Committee, the senior foreign-policy decision-making group below the president, while inserting his chief ideologist, Steve Bannon, into them. Many conservative foreign-policy and national-security experts saw the dangers last spring and summer, which is why we signed letters denouncing not Trump’s policies but his temperament; not his program but his character. We were right. And friends who urged us to tone it down, to make our peace with him, to stop saying as loudly as we could “this is abnormal,” to accommodate him, to show loyalty to the Republican Party, to think that he and his advisers could be tamed, were wrong. In an epic week beginning with a dark and divisive inaugural speech, extraordinary attacks on a free press, a visit to the CIA that dishonored a monument to anonymous heroes who paid the ultimate price, and now an attempt to ban selected groups of Muslims (including interpreters who served with our forces in Iraq and those with green cards, though not those from countries with Trump hotels, or from really indispensable states like Saudi Arabia), he has lived down to expectations. 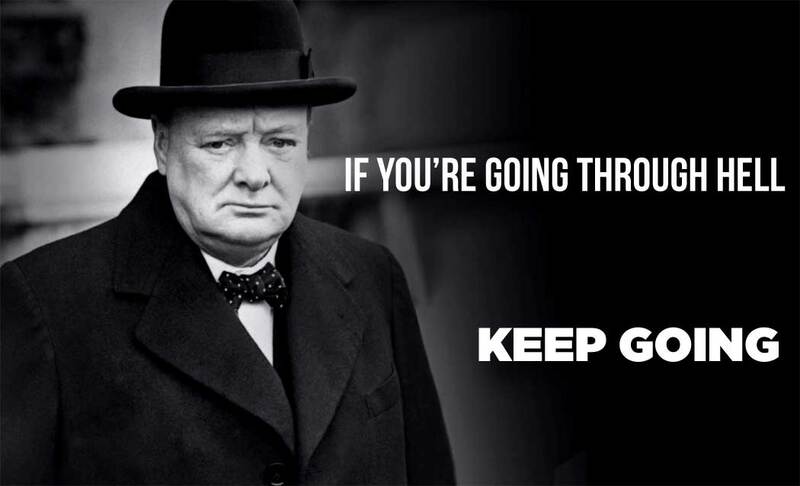 Precisely because the problem is one of temperament and character, it will not get better. It will get worse, as power intoxicates Trump and those around him. It will probably end in calamity—substantial domestic protest and violence, a breakdown of international economic relationships, the collapse of major alliances, or perhaps one or more new wars (even with China) on top of the ones we already have. It will not be surprising in the slightest if his term ends not in four or in eight years, but sooner, with impeachment or removal under the 25th Amendment. The sooner Americans get used to these likelihoods, the better. Is President Trump’s Immigration Order a 'Muslim Ban'? The question is, what should Americans do about it? To friends still thinking of serving as political appointees in this administration, beware: When you sell your soul to the Devil, he prefers to collect his purchase on the installment plan. Trump’s disregard for either Secretary of Defense Mattis or Secretary-designate Tillerson in his disastrous policy salvos this week, in favor of his White House advisers, tells you all you need to know about who is really in charge. To be associated with these people is going to be, for all but the strongest characters, an exercise in moral self-destruction. Rifts are opening up among friends that will not be healed. The conservative movement of Ronald Reagan and Jack Kemp, of William F. Buckley and Irving Kristol, was always heterogeneous, but it more or less hung together. No more. New currents of thought, new alliances, new political configurations will emerge. The biggest split will be between those who draw a line and the power-sick—whose longing to have access to power, or influence it, or indeed to wield it themselves—causes them to fatally compromise their values. For many more it will be a split between those obsessed with anxiety, hatred, and resentment, and those who can hear Lincoln’s call to the better angels of our nature, whose America is not replete with carnage, but a city on a hill. This is one of those clarifying moments in American history, and like most such, it came upon us unawares, although historians in later years will be able to trace the deep and the contingent causes that brought us to this day. There is nothing to fear in this fact; rather, patriots should embrace it. The story of the United States is, as Lincoln put it, a perpetual story of “a rebirth of freedom” and not just its inheritance from the founding generation. Some Americans can fight abuses of power and disastrous policies directly—in courts, in congressional offices, in the press. But all can dedicate themselves to restoring the qualities upon which this republic, like all republics depends: on reverence for the truth; on a sober patriotism grounded in duty, moderation, respect for law, commitment to tradition, knowledge of our history, and open-mindedness. These are all the opposites of the qualities exhibited by this president and his advisers. Trump, in one spectacular week, has already shown himself one of the worst of our presidents, who has no regard for the truth (indeed a contempt for it), whose patriotism is a belligerent nationalism, whose prior public service lay in avoiding both the draft and taxes, who does not know the Constitution, does not read and therefore does not understand our history, and who, at his moment of greatest success, obsesses about approval ratings, how many people listened to him on the Mall, and enemies. Eliot Cohen is the director of the Strategic Studies Program at the Johns Hopkins University School of Advanced International Studies. 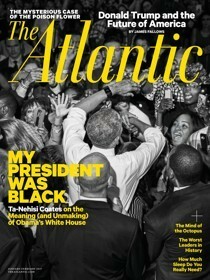 From 2007 to 2009, he was a counselor to Secretary of State Condoleezza Rice. 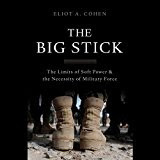 He is the author of The Big Stick: The Limits of Soft Power and the Necessity of Military Force.